Since I went vegan the one thing that I have struggled with is eating out. Whilst there are more and more places that offer vegan options, it’s usually not very clear on their menu what is vegan or they will have only one option which is not ideal. 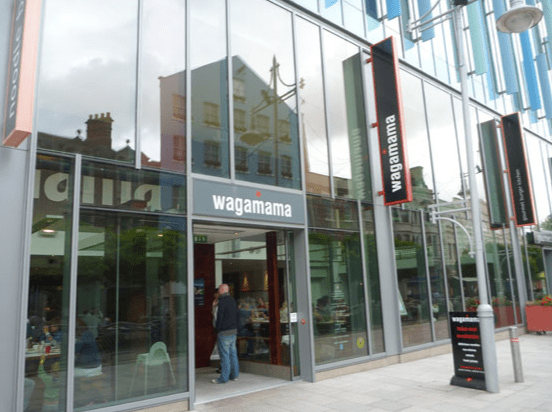 A few weeks ago I was invited along to Wagamamas in Cardiff to see their newly upgraded restaurant. I’d never been to Wagamamas before but had heard lots of great things from friends who are huge fans so I was looking forward to trying out the menu. 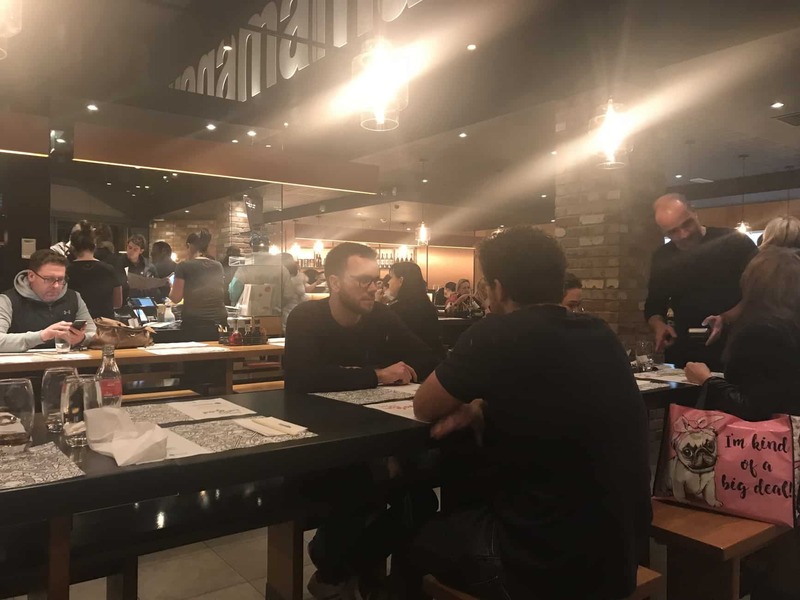 The restaurant in Cardiff is large, clean and modern and is located right in the city centre so is really easy to get to. There are lots of long tables where people are sat and this gives it a really sociable atmosphere. There were people eating on their own, couples and bigger groups and it had a really great atmosphere. The staff were so friendly and the head chef came out of the kitchen to talk all about their menu. 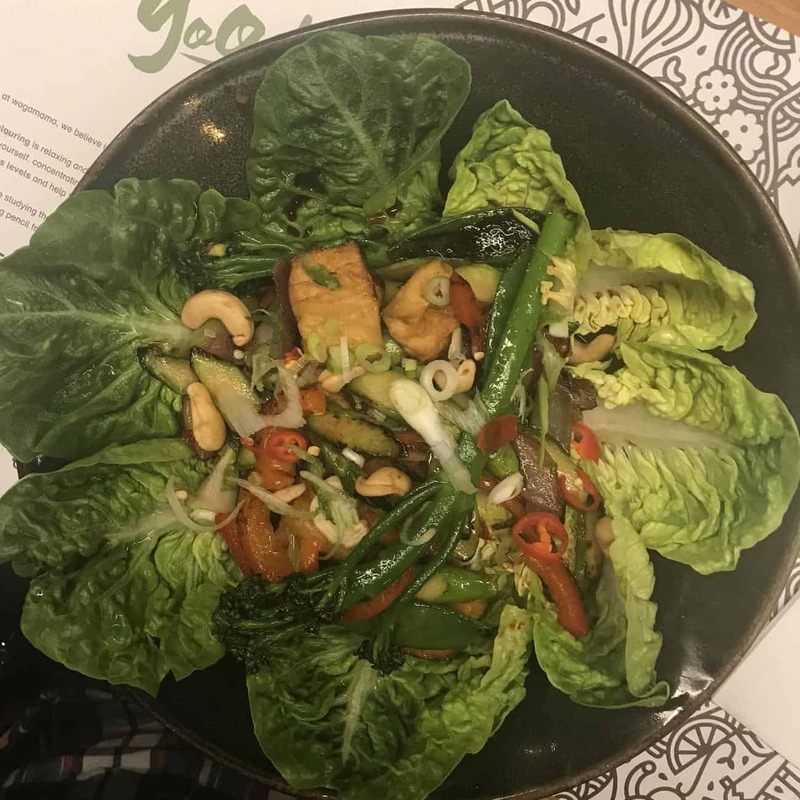 Their vegan options are the best I’ve seen in a large chain restaurant – they have a separate vegan menu and they are very careful about cross contamination. They even had two vegan dessert options on the menu! We were told that as all their food is cooked to order it is no problem to have a chat to them and they could even slightly alter a dish to fit in with any dietary requirements. 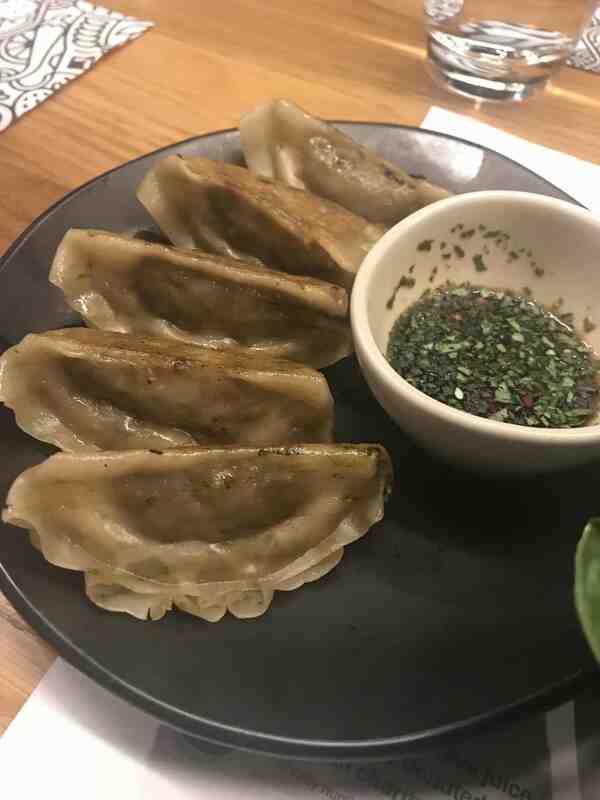 I chose the yasai gyoza to start which are five steamed dumplings filled with vegetables, grilled and served with a sauce. These were really tasty, although I wasn’t a fan of the sauce, but that’s a personal taste thing. For mains I chose the warm chilli yasai salad which was absolutely delicious. It was fresh, tasty and I demolished the lot! The portions are a really nice size in Wagamamas so you really get good value for money too. 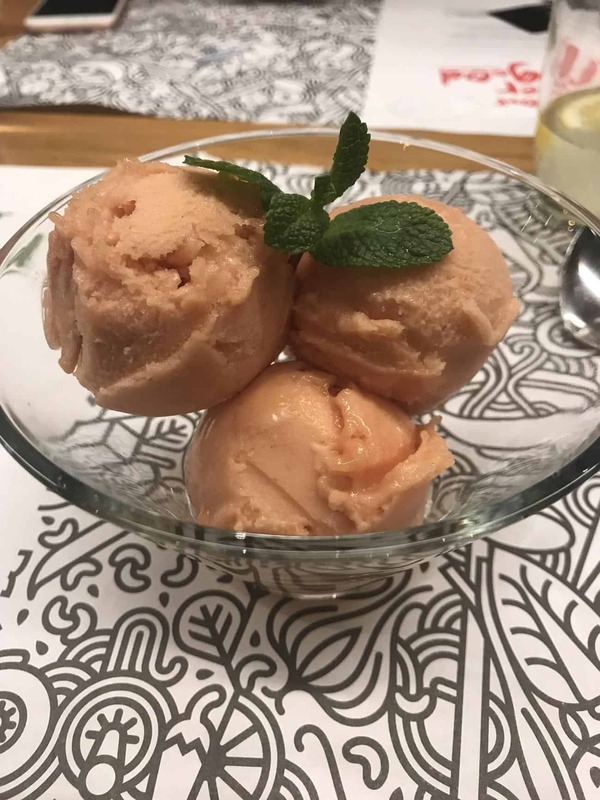 For dessert I chose the pink guava and passion fruit sorbet which was simply divine. Even if you are not vegan you really must try this! Again it was a really decent serving size of 3 scoops. 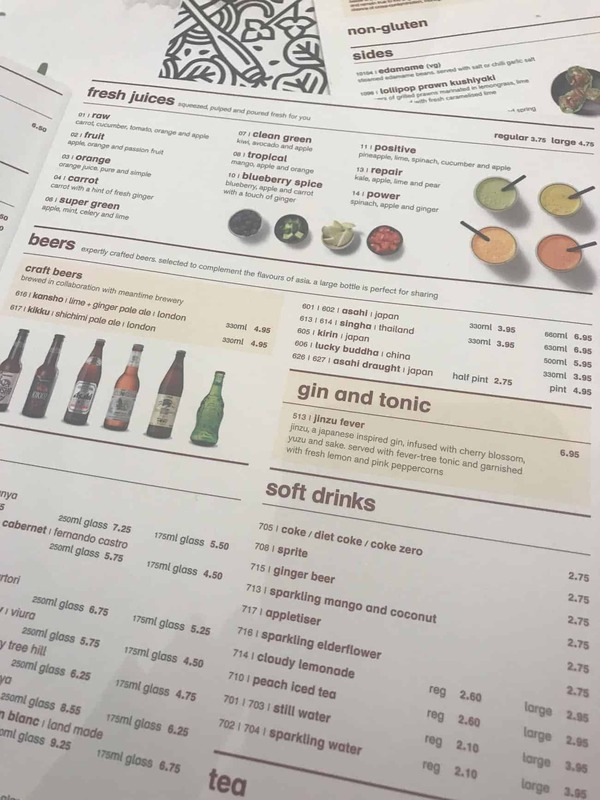 They had a huge variety of drinks on the menu from fresh juices to interesting beers and a wide range of soft and hot drinks too. My only disappointment was that they didn’t offer a dairy free milky coffee which would have finished my meal off perfectly. It was so nice to find a restaurant that both my husband (a big meat eater!) and I could eat at together which gave us both really great options. The atmosphere was just my style, casual with a trendy edge and as I said the staff were so friendly it made it a pleasure to eat there. We’ll definitely be heading back, and might even take the kids as they have an excellent kids menu too. Disclosure – we were gifted our meal and drinks on this occasion but were not obliged to write a review. Isn’t that great, to be able to change your order to fit dietary requirements? I do enjoy going to Wagamama’s the veggie selection is limited but what they do ave is really nice. What a great vegan range they have – so good that you can eat out at a place both you and your husband can enjoy! Heard to much about Wagamamas, but did not know that they do vegan food. Looks like a fab selection there for both Vegan and meat eaters. 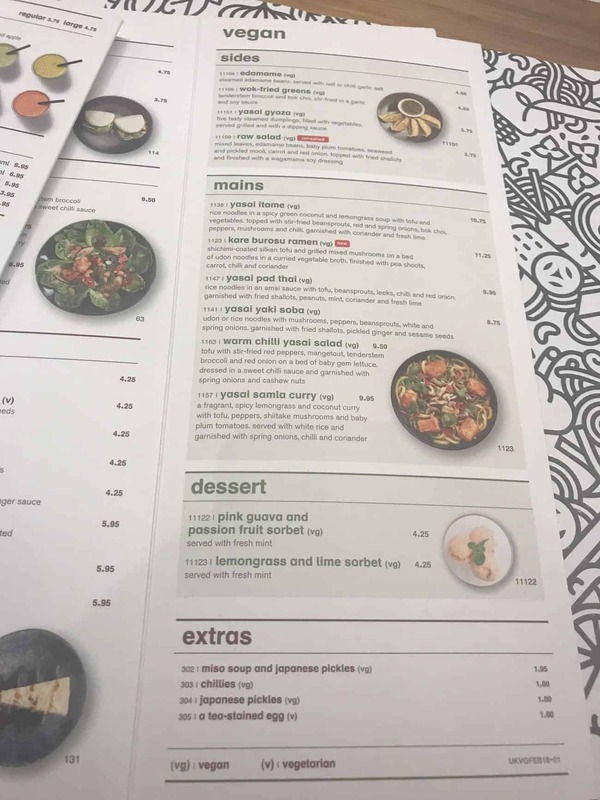 So great that a mainstream restaurant like Wagamamas now has vegan options!